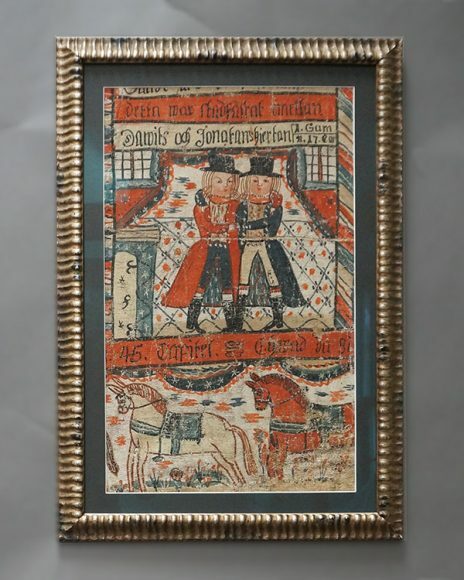 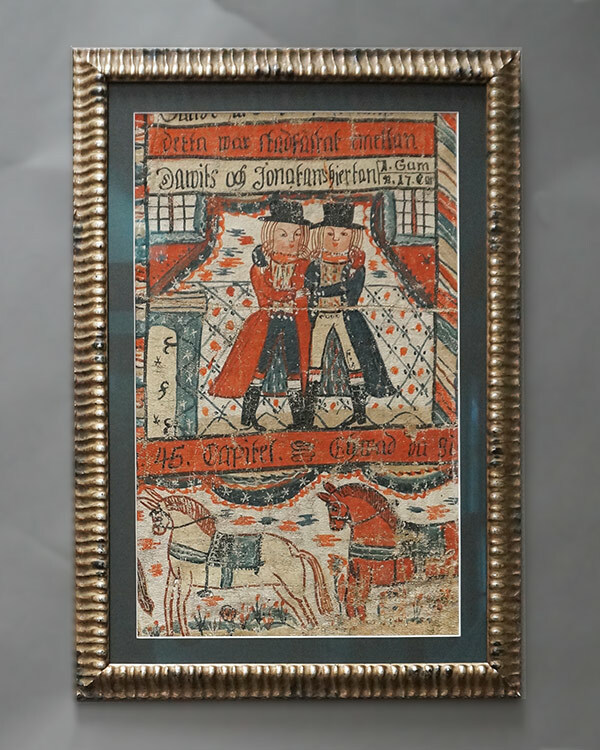 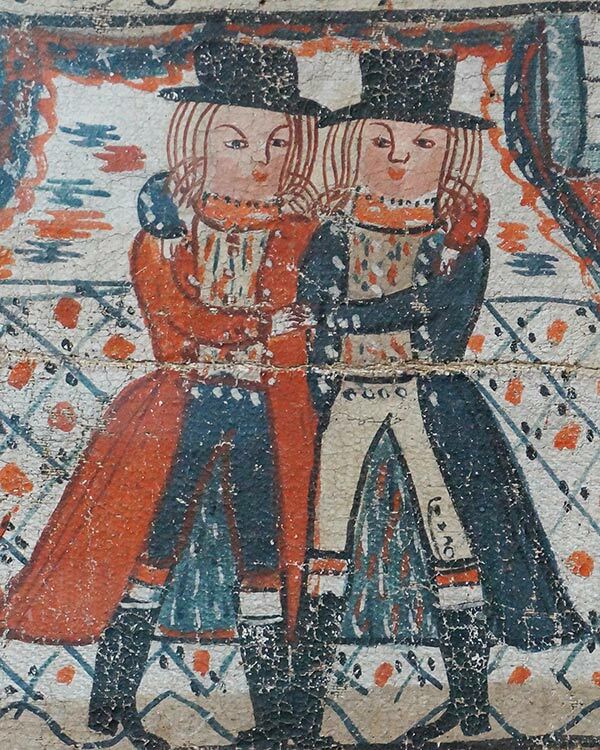 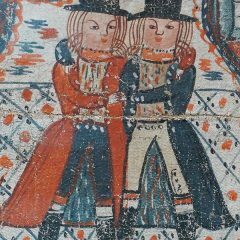 Portion of a Swedish bonad dated 1818 illustrating David’s friendship with Jonathan. 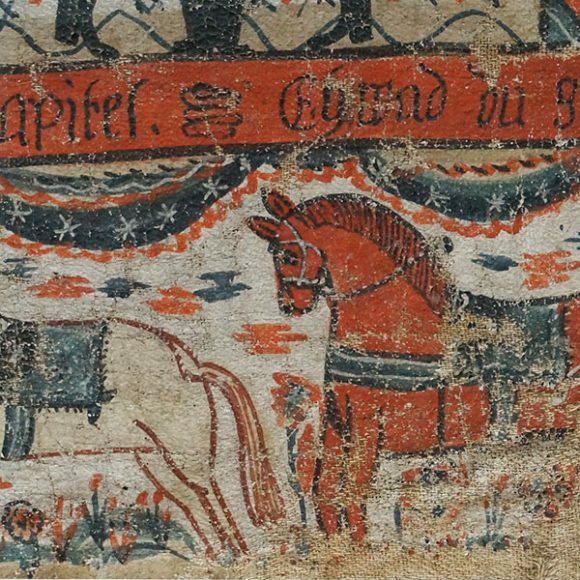 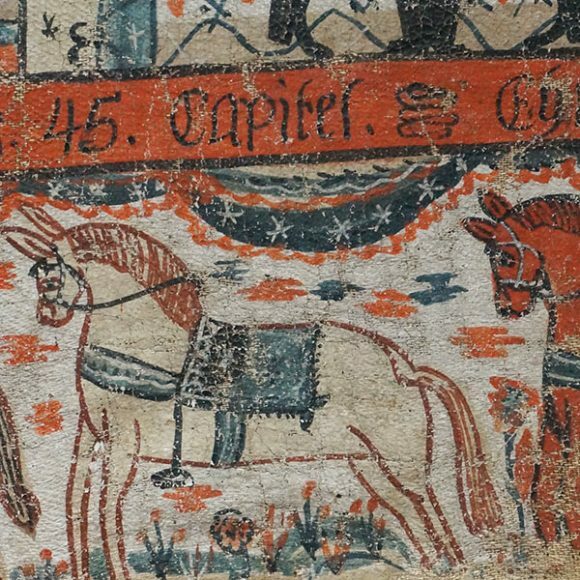 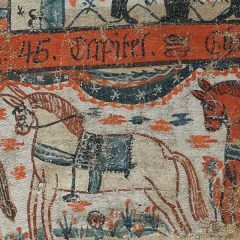 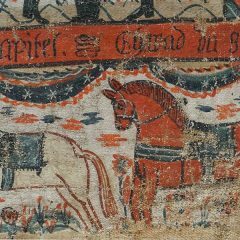 Below is part of a frieze of horses in a row. 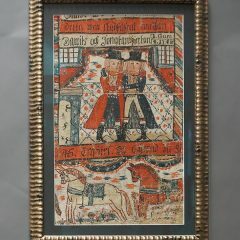 Tempura on homespun, newly framed with archival materials.